Last week saw a number of significant judicial decisions. These included a Constitutional Court ruling over the social grants crisis and the removal of General Berning Ntlemeza as head of the Hawks in the North Gauteng High Court. These findings are symptomatic of the broad range of crises that grip South Africa and which have enveloped the country for some years. The all-round crisis extends beyond the political, on which this article focuses. Although many issues now require resolution in the courts it is not from there that the crises emanate. One of its symptoms is that it is difficult to resolve burning political issues through political institutions. Hence the repeated recourse to courts. South Africa has advanced constitutional and democratic institutions, but these have become paralysed with respect to resolving critical issues in the country. Citizens cannot expect MPs to act in their interests ‒ despite “the people” repeatedly being invoked as the driving force for ANC action. And even ANC MPs are without power as legislators – not specifically in relation to the ANC as an organisation, but regarding Jacob Zuma, who displays imperviousness to the rules and conventions of his office. ANC MPs periodically murmur their dissatisfaction, or sometimes more dramatically voice unhappiness over Zuma’s leadership, but have lost the capacity to respond to urgent matters of accountability. This is demonstrated in their overall passivity, or silent or open defence of Bathabile Dlamini, Minister of Social Development, over the social grants crisis. Even though there have been moments of courage, MPs are members of a party in Parliament where one cannot just go it alone. And that applies beyond Parliament to all members of the leadership and the organisation. The same holds also for members of other parties. The conditions of being an MP mean that the party in Parliament operates within a collective discipline. One’s private views outside are similarly affected. If they diverge, they must remain private so long as one is a party member, as Helen Zille, despite her veteran status, is now finding with her tweets on the colonial legacy. The question one may ask is how these decisions of the ANC that are collectively binding on MPs are arrived at. There is little evidence of significant debate preceding an instruction, though what is clear, is that uniform action is enforced. By remaining members of parliament for the ANC, MPs are bound to an anti-democratic, anti-popular course, bound to defend a corrupt government, one that increasingly demonstrates indifference to the fate of the poor, in whose name they purport to act, as they once did act. Insofar as MPs are increasingly required to vote or applaud, and not to think, they have become increasingly robotic, as we have seen with the Nkandla debacle. I am not suggesting that these individuals are fools, but they operate within a political milieu that has become increasingly impatient with intellectualism. The ANC used to be a hive of ideas. There are many theories that used to be debated relating to programmes, strategies and tactics. That is no more, and the recently issued policy documents do not remedy that broader emptiness. In the case of other parties: while they were outraged over the SASSA crisis, they did not have the power to act, by virtue of being in a minority and consequently, were simply outvoted no matter the merits of their position. Let us examine again why there is incapacity to remedy political problems in the political domain. In the first place, considering the grants crisis, what Bathabile Dlamini has done or failed to do over social grants is a variant of the indifference that the ANC has displayed more generally towards the poor. There is daily evidence of this in numerous other areas – whether eviction of shack dwellers into the open skies, or failure to provide an adequate environment for schooling, clean water supplies, electricity and many other basic needs. This indifference coexists with a parasitic approach to state resources, where every effort of some in leadership and their associates outside is devoted to painting Treasury in a nefarious light in order to pave the way to loot the fiscus for private benefit. Most prominent amongst these are the Gupta family, who have made it their business to go beyond any previous beneficiaries of Zuma’s power, not only in cutting legal corners, but in entering the sphere of governance. State capture is more audacious insofar as it aims to take over sovereign state functions. The most obvious examples are people like Des van Rooyen and Mosebenzi Zwane, who have no clear reason to be there other than serving the Guptas, but find themselves in the Cabinet. It is also dramatically illustrated at a bureaucratic level when the Gupta family allegedly intervened directly with former head of GCIS, Themba Maseko, and sought to instruct him to perform his duties in a way that benefitted their enterprises. Insofar as state capture coexists with benefits to some, the concern of those who have been “captured” has not been what happens to the poor, for the poor are not their core constituency any more. The captured are now accountable to their captors. And that leads to mutual, albeit uneven, financial rewards. But the ANC leadership, more generally, whether or not in the inner circle linked with the Guptas, has become habituated to indifference, standing by while risking the most vulnerable, and without shame over social grants, in full public view. At a purely constitutional level, Dlamini, as well as fellow Ministers Faith Muthambi, Nkosinathi Nhleko and many others, have shown that they do not abide by the constitutional obligation to be accountable to organs of state like Parliament. Instead they are accountable, whether or not it is in accordance with the constitution, to President Jacob Zuma. It is a mistake to simply ascribe this to “cadre deployment”, the fact that MPs are elected through party lists and not constituencies. The loyalty displayed to the president is not simply an ANC loyalty; not a sense of “my organisation, right or wrong”. Instead, those in positions understand that the most important person to please and satisfy that one is doing what is required – by whatever means necessary – is the president. That relationship is the basis for rewards, including high office and wealth. Related to this is the need to secure him once he leaves office, by ensuring that the presidency falls into “safe hands” – hands that will protect uBaba from potential prosecution and enable him to hold onto the wealth he has acquired. For Bathabile Dlamini it may well be that her ministry has not been her core business. Instead, it may well be to ensure through the powers at her disposal as ANC Women’s League President, that Nkosazana Dlamini-Zuma is elected ANC president at the end of 2017. Yet the Concourt made an unequivocal finding on Dlamini’s lack of performance of constitutional duties. The problem with taking forward that decision is that there is no higher authority with ethical leadership qualities that can be invoked to reprimand and dismiss Dlamini. Even if it were to happen, it is unlikely to be for ethical reasons or constitutional governance. How can it be when the president charged with that responsibility is without any moral authority? I am not comfortable with calling on the president to exercise his judgment in order to dismiss Dlamini. Certainly, Dlamini ought to be dismissed and she has failed to perform her duties but there is something repugnant in appealing to Zuma to act on the expectation that he will perform an ethical duty against someone who acts no differently from the way that he does. When we appeal to Zuma, which is of course our formal right as citizens of the country to appeal to the head of state, we are attributing to the bearer of that office qualities that he has repeatedly shown he does not have. In this particular instance, as with Nkandla, Zuma has again displayed a lack of seriousness about the grant crisis. He joked about how others understand democracy, in calling for dismissal of a person before the date of the delivery of grants had arisen. In other words, he did not appreciate that the very creation of a crisis in delivery of grants was a demonstration of lack of concern and responsibility regarding the needs and rights of grant recipients. Whether or not last minute relief could be sought, as appears to have been achieved by the Concourt decision, did not detract from the crisis created by the actions and inaction of ANC government officials. Is it overly partisan to resist the idea of appealing to the de jure head of the South African state? Personally, I think it is time that we declare Zuma unfit to hold office (as the EFF and COPE already do), but more is required. During the struggle against apartheid, those who were involved in the liberation struggle nationally and internationally declared the apartheid state to be illegitimate and in some cases, illegal. It may well be that the current state, led as it is in a manner that plays havoc with people’s lives, faces a crisis of legitimacy. The government may have been voted into office as the majority party (though it may not retain that majority in the future), but it acts in a manner contrary to the interests of that majority. That makes it illegitimate, and by virtue of its control of state organs, by extension the state is illegitimate as well. South Africans of goodwill, South Africans who care for all who live in this country, some living in hunger and without shelter, need to unite in finding a way of resolving this impasse. We can build on the existing institutional structure to develop an ever- deepening democracy. We have resources that, if not diverted into personal benefit, could make a better life for many more in our country. We need to find a way of uniting to make that happen. We are not powerless insofar as much depends on what we ourselves do in our own lives. We need to recover a humanist consciousness and practice and that can be done at every level and in every sphere of our lives. We need in all our interactions to relate in a manner that demonstrates concern for the wellbeing of every human being. “The opposite of good is not evil, the opposite of good is indifference…”, according to Abraham Heschel. Active humanism is the antidote needed against the current indifference. We need to reach out to one another wherever we are located and by joining together, start to recover the democracy and emancipatory promise of this land that we love. The SASSA debacle moves to the Constitutional Court this week after political efforts failed to resolve the problem in a manner that safeguards the most vulnerable. The Social Security Agency (SASSA) and the Minister for Social Development, Bathabile Dlamini, were supposed to account to the Constitutional Court, but have sought to evade this. Now they have been called upon to explain. Last year, it was the Nkandla scandal that landed in the lap of the Constitutional Court. In both cases judicial involvement followed lapses in accountability on the part of ministers and officials and failures on the part of parliament to demand that they answer for what had been done. There will be some who are worried about the Court being burdened with or making decisions that ought, properly speaking, to be resolved by other spheres of government, through political and executive decisions. The courts themselves are reluctant to cross the boundary between their function, as defined in the Constitution, and that of other arms of government. The judiciary is well aware that it is not elected and that it cannot substitute its own views for policies decided on by MPs and Ministers, who act in terms of a mandate of the electorate or are presumed to be acting on that basis. According to media reports, the draft ANC policy documents released on Sunday suggest that the judiciary does not observe these boundary lines or is drawn into areas where it ought not to be (http://www.iol.co.za/news/politics/sas-judiciary-should-be-transformed—anc-policy-discussion-document-8156280). This follows past attacks on the judiciary suggesting that it has “overreached”, that it transgressed boundaries and that some judges have on occasion been agents of “counterrevolution”. 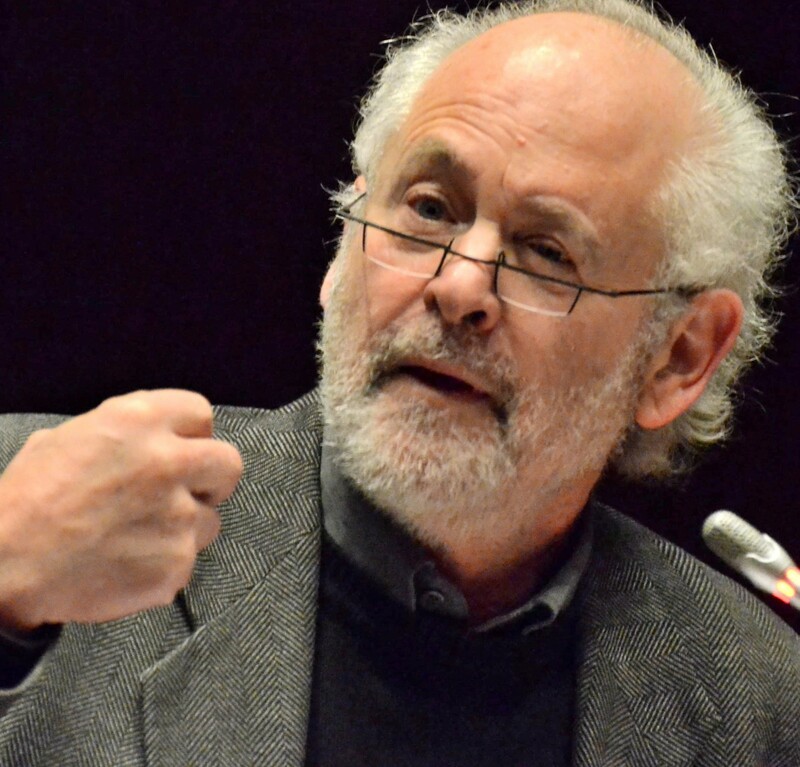 (See Raymond Suttner, Recovering Democracy in South Africa, Jacana Media, 2015, pages 5-7, 71-76). After a meeting between President Jacob Zuma, some other senior government members and the judiciary in 2015, there was an agreement that the various arms of government would treat one another with respect. In general, there has been a muting of the suggestions that the judiciary has more powers than it ought to have and – whether or not it has these powers – it is intruding into the terrain of the executive and the legislature. While the government was reluctant to see the entry of the judiciary into the question of Nkandla, the SASSA crisis, in contrast, appears to be recognised by government as needing intervention. The Department of Social Development has not objected to the involvement of the Court, even though it has in certain critical areas sought to avoid reporting as it was obliged to do in terms of the earlier court decision invalidating the SASSA contract with Cash Paymaster Services (CPS). failure of MPs to ensure accountability of the executive for due performance of their duties as required by the constitution. On the part of the President and the National Assembly, it was found that they had acted and/or failed to act in accordance with the duties ascribed to them by their oath of office, under the Constitution. President Jacob Zuma was found to have benefitted materially and illegally from the improvements made to his private home with public monies. He was made to pay back what was described by the Public Protector as a “reasonable portion” of the costs incurred that were unrelated to security. Much of the resistance to the requirement to be accountable and to pay for these improvements related to the status of the Public Protector’s report on Nkandla. The Court clarified that status in its judgment, indicating that findings were binding unless taken on review, which had not been done by the President or the National Assembly. From a political point of view, however, what the Court found in regard to the conduct of the President and the National Assembly amounted to a conclusion in the name of the law that the incumbents of both of the institutions had acted in a manner that was incompatible with serving those who had elected them. They had not discharged core elements of their duty of representation, which demanded careful scrutiny of all actions and spending of the executive insofar as this affected the public purse. This was a grave finding and one that would never have been reached by parliamentary decision because of the ANC’s majority’s stance. In other words, because of the political balance of forces in parliament, a remedy for legal malpractice could not be achieved through political processes. Instead, sophistry reigned in defence of the Nkandla spending. The only way to achieve a remedy in the South African constitutional order was by approaching the Constitutional Court. There was a political failure that could only be remedied by calling on the Court to make a finding that had grave political implications. While it was a legal decision, the Constitutional Court judgment had significant political repercussions. It increased the turmoil and divisions within the ANC. It opened the cleavage between those who are primary beneficiaries of patronage politics, using the state to access wealth for themselves by fair means and foul, and those who are lesser beneficiaries or those who do not benefit at all. These all appear to now be outside Zuma’s inner circle. Amongst the latter there is also a fear that these crises will engulf the ANC and lead to the potential loss of national power and possibly the implosion of the ANC as an organisation. Although the Court exposed much of what happened at Nkandla, it obviously could not stop the persistence of other acts of pillage. Many reports and even statements from the ANC reveal that election processes at all levels of government involve extensive “buying” of votes and other irregularities associated with patronage networks and links involving corruption. These irregular modes of operating also influence processes of procurement and appointment to office, whether at national, provincial or local levels. The SASSA crisis, as with Nkandla, raises similar issues of abuse of power, misuse of public monies (though much remains in the realm of suspicion), failure of accountability and failure of MPs to perform their role as representatives of the people. The issue of enrichment takes a different form to that of Nkandla. In this case, it is a private company that has benefitted greatly from irregular contracts. It has also used its position to market products paid for by questionable or allegedly illegal deductions that have left many of the grant recipients with next to no cash to collect. It is not known whether the Minister of Social Development or others closely associated with her have derived any financial benefits. In the unfolding of the SASSA crisis, it appears that Minister Dlamini is determined to continue a contractual arrangement with CPS and that no serious effort was made to develop capacity within SASSA or to explore other ways of distributing the grants. This determination to keep the contract with CPS has led many commentators to suggest that there may be something untoward in the Minister’s relationship with CPS. There is also the involvement of other individuals who have no legal standing in relation to the delivery of grants – the President’s private lawyer, Michael Hulley, for example – that adds to the suspicion over the preference for CPS. All of this ought in the normal course of events to have been sorted out within government. The President should have instructed Minister Dlamini to perform her duties within the law and, after the declaration that the earlier contract was irregular, in accordance with the prescriptions of the Constitutional Court. That was not done. The President clearly sees no problem of consequence in some 10 million grant recipients with some 17 million grants or dependents being left with uncertainty as to the payment of the grants in less than three weeks time. He has urged the public to “keep cool” since the grants will be paid and said that there is only reason to be worried after the due date for payment has arrived. Parliament has done little on this matter, apart from some hearings in recent times. There has been nothing like the level of interest displayed by MPs in the Nkandla matter, when ANC members defended the Nkandla spending and the opposition attacked its legality. In the case of the SASSA scandal, the ANC is more or less mute. It says nothing about a crisis. Its alliance partner, COSATU, has acted differently calling for the head of the minister. The SACP has been more cautious, although expressing disquiet. Some of the SACP leaders are part of cabinet and/or MPs, where they do not appear to have made significant interventions to defend the vulnerable, designated recipients of grants. There are multiple crises in contemporary South Africa. One of these is a crisis of irregularity and widespread illegality as officials and government leaders habitually bypass regulations in order to benefit themselves or other close associates. So long as they use state resources as a cash cow, there will be repeated court cases initiated by those who wish to curb this and ensure the promise of democratic South Africa, to provide “a better life” for all its peoples.